All Prices are priced by the bedroom, and all leases are signed individually (unless a joint lease is requested). This means that you are only responsible for your rent and damages, not your roommates. We do a limited amount of roommate matching, where we introduce you to potential roommates. All of our leases include our Baseline Package of services, which covers everything we can do to keep your apartment in great shape for you the whole time you're here. In addition, we can manage the Electricity and Water by adding the Utility Package to your lease. How many bedrooms do you and your roommates want? Some of our residents have generously left some kind words on ApartmentRatings.com. In 2012, we were honored to receive the ApartmentRatings.com "Top Rated" Award. Only 5% of the properties listed on ApartmentRatings from around the world were considered for the award. You can click to see the ratings for Cross Creek and Surrey Square. Please keep in mind that we began managing both properties in September 2009. Town Homes perfect for discerning students, with frequent bus access to UGA and downtown Athens. Newly Remodeled Kitchens and Bathrooms with Granite Counter Tops and Maple Cabinets. Beautifully-maintained, convenient retreats. Featuring newly-remodeled kitchens and bathrooms. We do a lot of work before you move in. We paint all the walls, steam clean the carpets, re-key the locks, and clean/repair/replace everything from the door hinges up. We want to give you a home that's in great shape. Our care doesn't stop when you move in. We do whatever maintenance is needed for the entire duration of your lease, to make sure your apartment stays in the best shape possible. We love to keep small problems from becoming big ones, and ask that you let us know about even the smallest issues. Bus Line #12 Every 15 Minutes. Surrey Square is right in front of the first and last stops on Riverbend Pkwy. The first stop will ensure that you get a seat, but if you miss the bus on the first pass, it'll be back at the stop across the street in just a few minutes. We treat all our apartments with the same excellent level of care and attention. Additionally, the following features may help you decide which one is right for you. 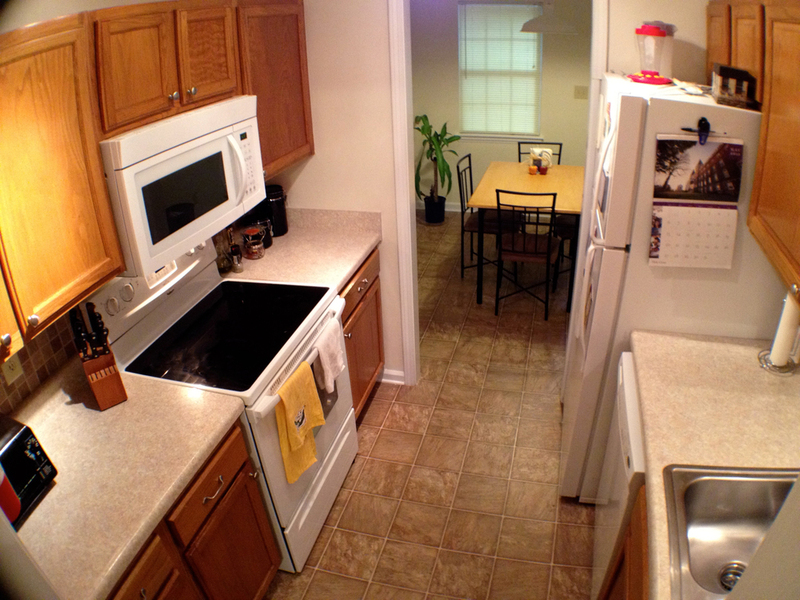 Cross Creek features remodeled kitchens and bathrooms, with all appliances new within the last few years. 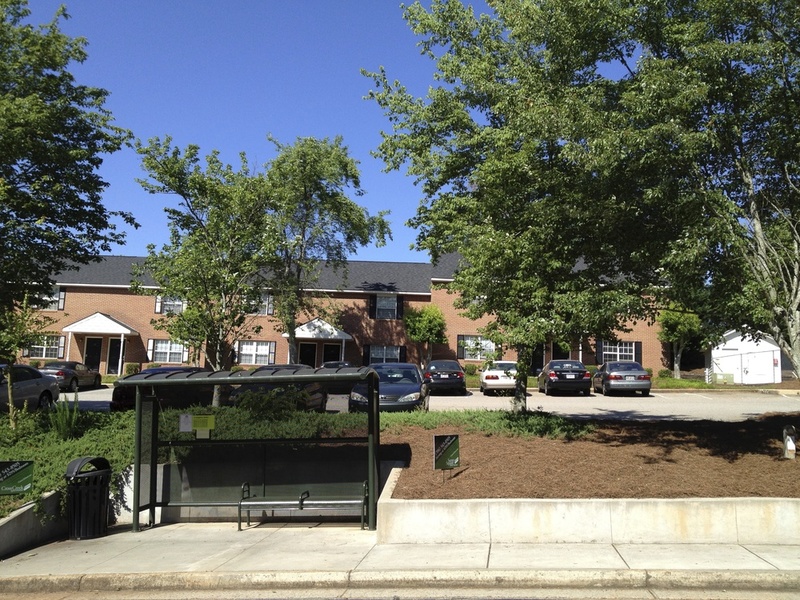 The nearest bus stop to Cross Creek is just a few minutes away on foot, or you can park and take the bus from Surrey Square. Cross Creek's bedrooms are about 130 square feet. Cross Creek features beautiful vaulted ceilings in the living room and most bedrooms, depending on layout. All townhomes were remodeled last year with beautiful granite counter tops, maple cabinets, tile back splashes, deep sinks, and new faucets. 2 bus stops directly in front of Surrey Square, catch the bus coming and going every 15 minutes. Surrey Square's bedrooms are about 100 square feet.